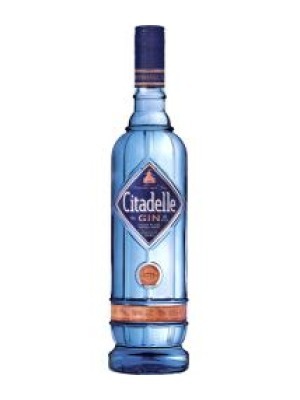 Citadelle French Gin is a popular Craft Gin available from DrinkSupermarket.com in 70cl to buy online. Visit DrinkSupermarket.com for the best price for 70cl of Citadelle French Gin or compare prices on our other Craft Gin products. The recipe for Citadelle Gin was developed by a distillery in Dunkirk in 1771. Dunkirk was one of the first ports of call in Europe for many explorers sailing back from the Orient, whose ships were laden with exotic herbs and spices. Citadelle Gin is made according to principles laid down in the original recipe. Although the production techniques have improved over the centuries, we still use the same 19 botanicals listed in the original recipe. Citadelle Gin is the only gin in the world made with 19 different botanicals, giving the gin a unique, complex, well-balanced flavour. 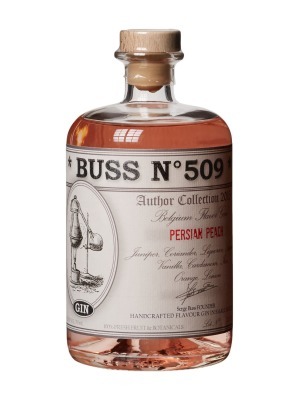 The secret recipe is known only by the master distiller. In keeping with the traditions of the first European trading captains of the 17th century, only the finest spices are used. This unrivalled variety of spices comes from many distant and diverse places: Juniper, France; Coriander, Morocco; Orange peel, Mexico; Cardamom, India; Liquorice, China; Cubeb pepper, Java; Savory, France; Fennel, Mediterranean; Iris, Italy; Cinnamon, Sri Lanka; Violets, France; Almonds, Spain; Cassia, Indochina; Angelica, Germany; Grains of paradise, West Africa; Cumin, Holland; Nutmeg, India, Lemon rind, Spain, Star anise, France. Citadelle gin is triple-distilled from wheat and spring water. Before being steeped in neutral alcohol, the botanicals are carefully selected and then placed in a specific bag. This infusion is then distilled to capture each separate aroma, so that the intermingled, complex flavours can develop independently. Where to buy Citadelle French Gin ? Citadelle French Gin Supermarkets & Stockists. You can buy Citadelle French Gin online in most retailers and find it in the Craft Gin aisle in supermarkets but we found the best deals online for Citadelle French Gin in DrinkSupermarket.com, 31dover.com, TheDrinkShop, and others. Compare the current price of Citadelle French Gin in 70cl size in the table of offers below. Simply click on the button to order Citadelle French Gin online now.